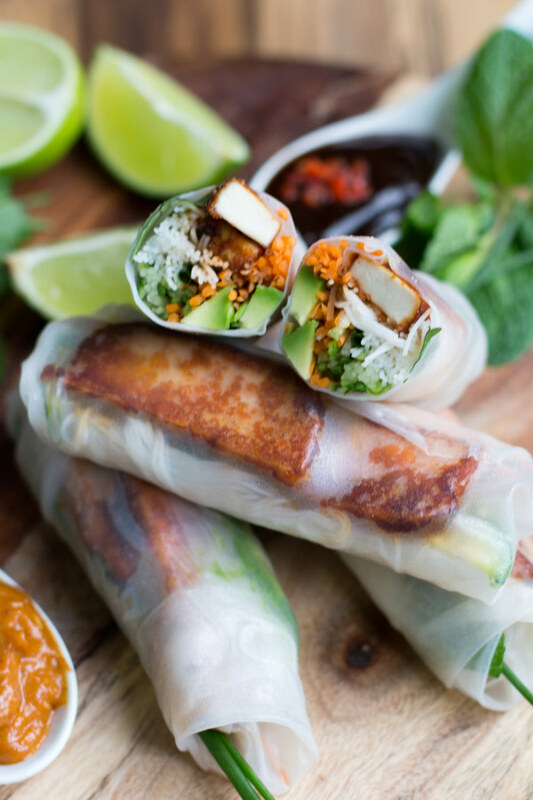 These Vietnamese vegetarian rice paper rolls are full of fresh flavours and taste amazing. 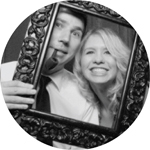 Making them at home is so easy and you can tailor them to your audience by adjusting the fillings. 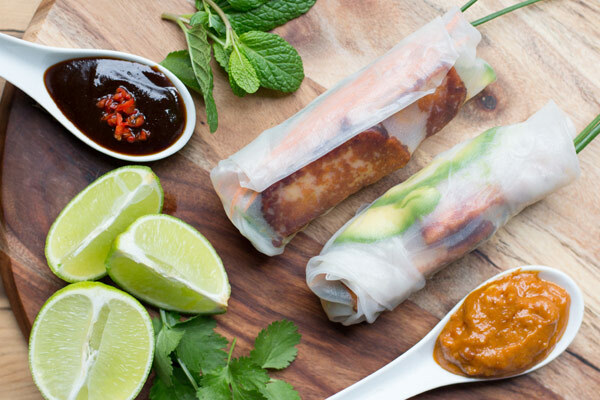 If you want to leave a couple of ingredients out for fussy tastebuds it’s no issue with rice paper rolls. 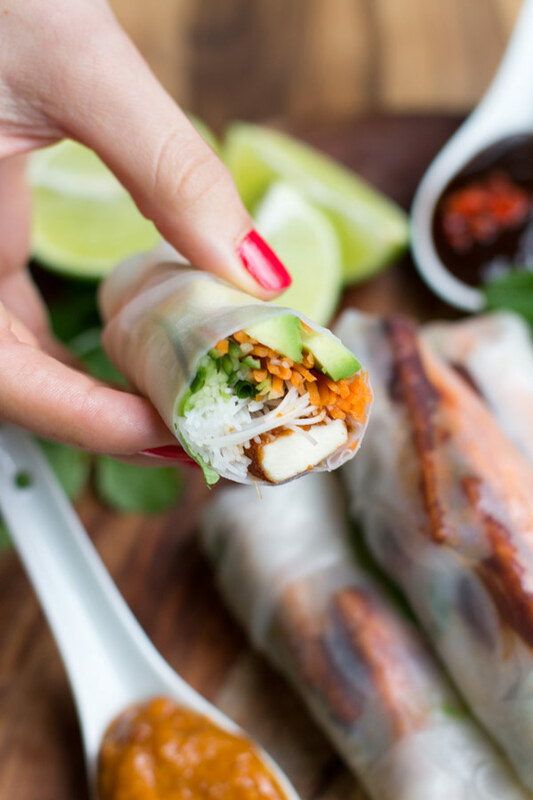 Rice paper rolls are extremely versatile and whilst this recipe is for vegetarian rice paper rolls they be made with whatever fresh ingredients you have on hand. 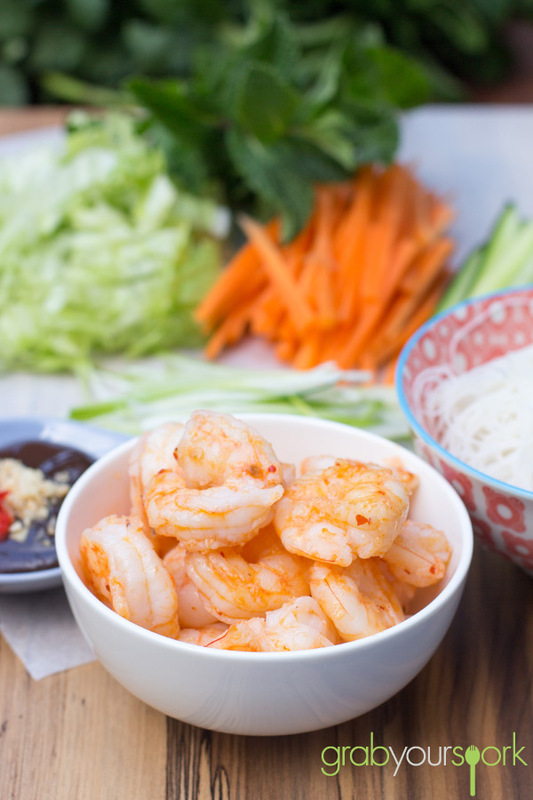 Other variations, which Brooke has made in the past, include chicken rice paper rolls and prawn rice paper rolls. Rice paper rolls are easy to prepare once you have mastered the tuck and roll technique to wrap them ready to eat. 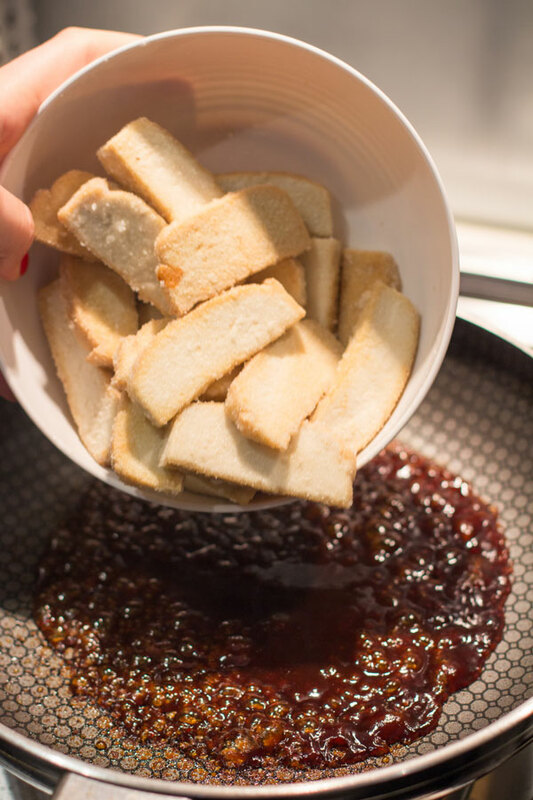 There is a bit of pre-prep to get all your ingredients slice ready for the production line, but once that is done it’s just a matter of rolling these tasty little pastels ready to go. 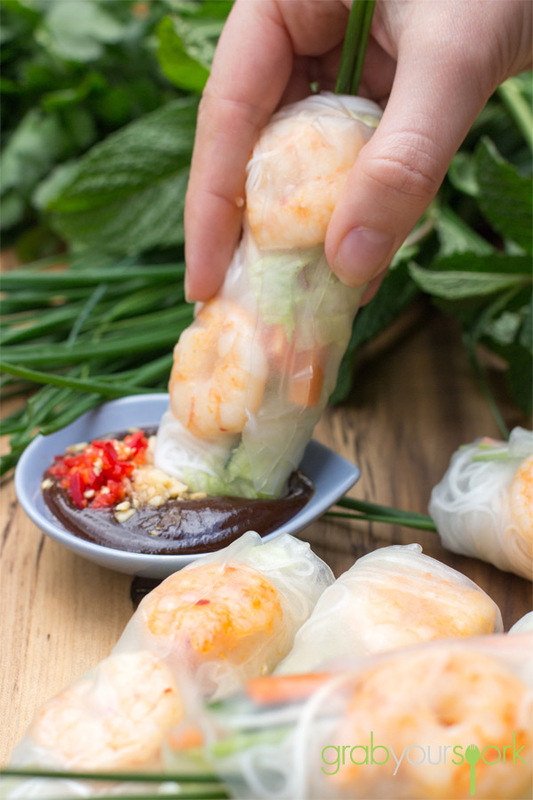 The trick to the best tasting rice paper rolls is to serve immediately after preparation, as the rice paper can dry out if left too long, and cause them to stick to one another. Not only are these vegetarian rice paper rolls healthy, they’re also incredibly varied in taste and texture! 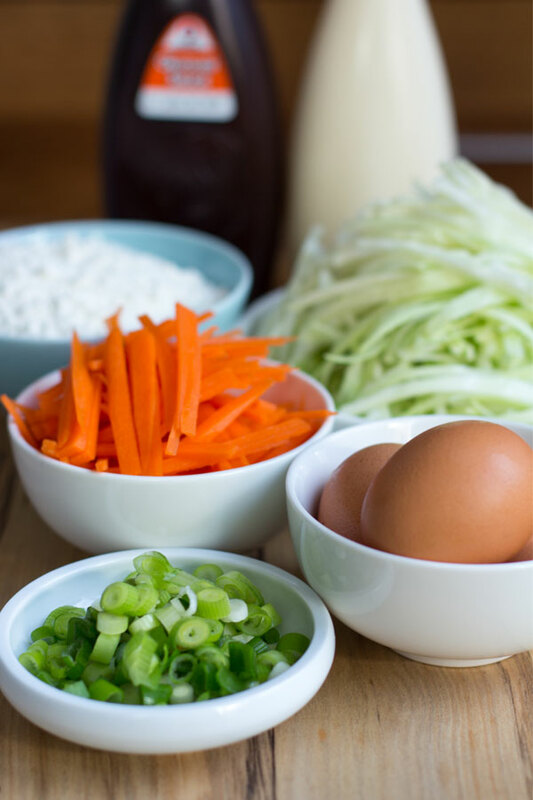 The filling consist of creamy avocado, crunchy carrots and cucumbers, silky vermicelli noodles, spicy Sriracha tofu, fresh spring onion, chives, mint and coriander tossed in for that classic Vietnamese flavour (add fresh chilli for good measure if your that way inclined also!). 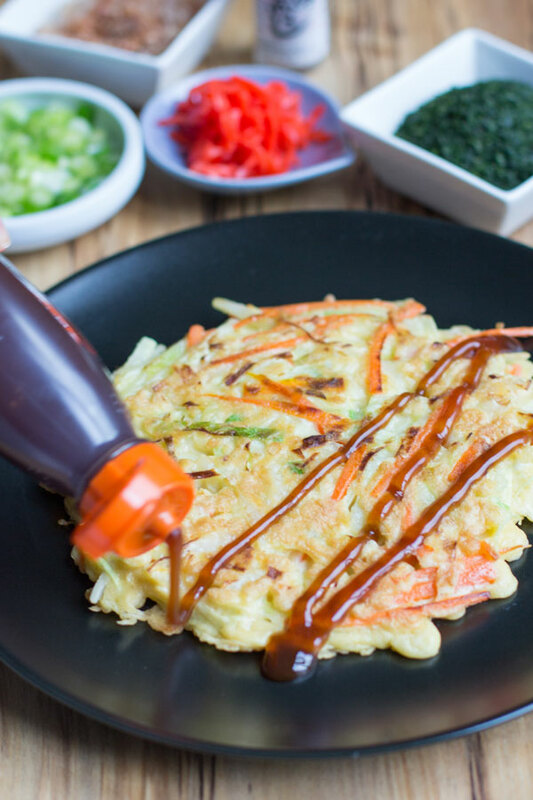 Top it all off by serving with a combo of hoisin sauce and satay sauce and you have an incredibly easy-to-make, fresh, vegetarian recipe which is absolutely delicious. 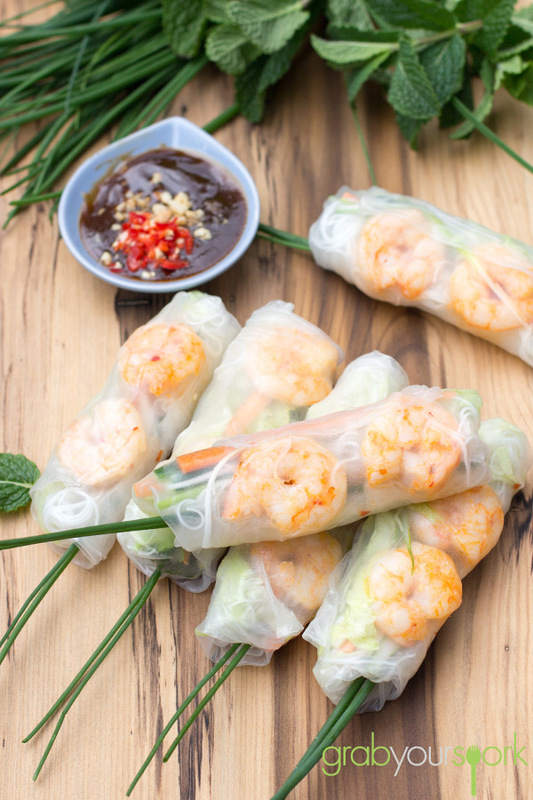 These light rice paper rolls are packed with goodness so if you’re looking to whip up a quick, inexpensive and yummy meal for yourself, friends, and family these are definitely the way to go. 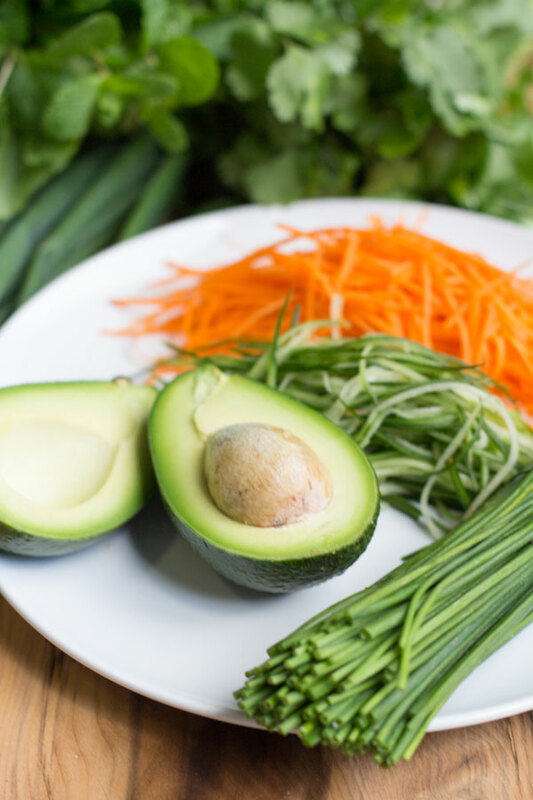 Vegetarian rice paper rolls consist of creamy avocado, crunchy carrots and cucumbers, silky vermicelli noodles, spicy Sriracha tofu, fresh spring onion, chives and mint and coriander tossed in for that classic Vietnamese flavour. Combine Sriracha sauce, soy sauce and brown sugar in a small bowl. Set aside. Preheat a large fry pan over medium heat. 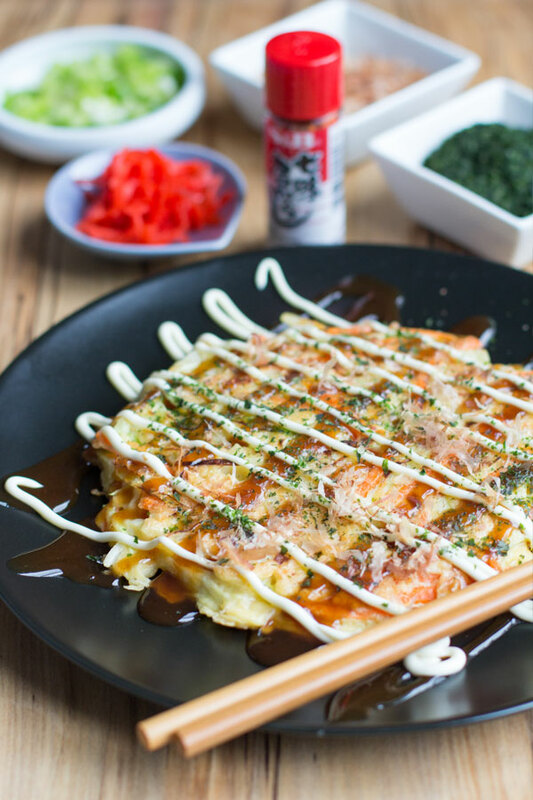 Toss tofu in 2 Tbsp rice flour and cook in vegetable oil, cooking until golden brown. 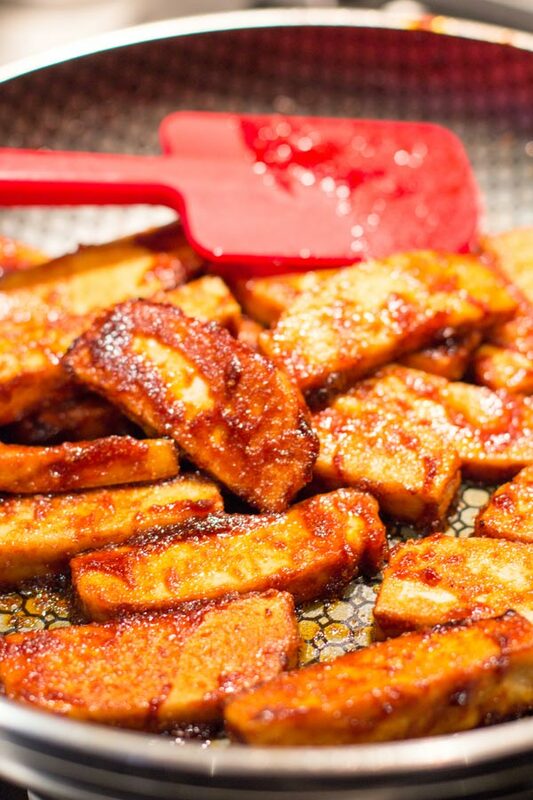 Turn the heat down and add Sriracha sauce mixture to the pan coating the tofu in the sauce. Cook for a couple of minutes until the sauce is sticky and covering all the tofu. Remove and set aside. Cook the dried vermicelli noodles to packet instructions. Drain and cool. 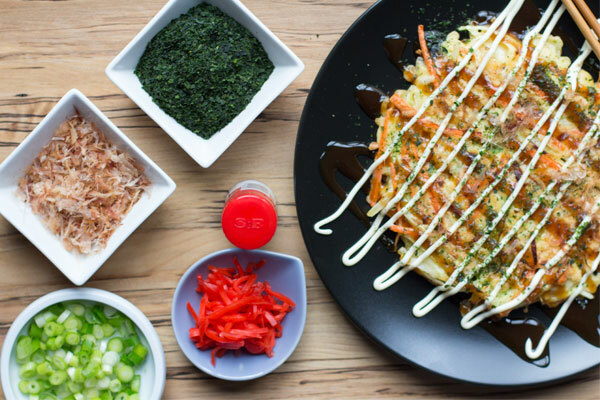 Once your vegetables are prepped and you’re ready to assemble the rolls, fill a shallow dish with warm water. 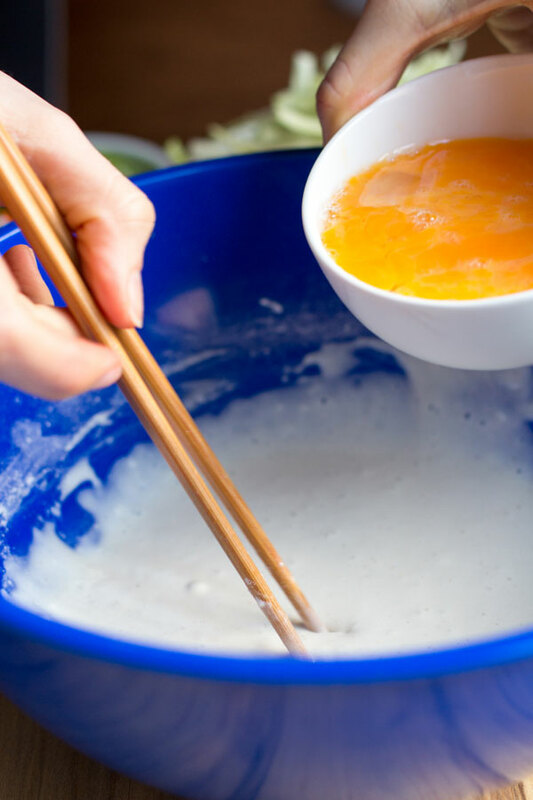 Dip one rice paper wrapper into the water for thirty seconds, remove and place on a clean flat surface. 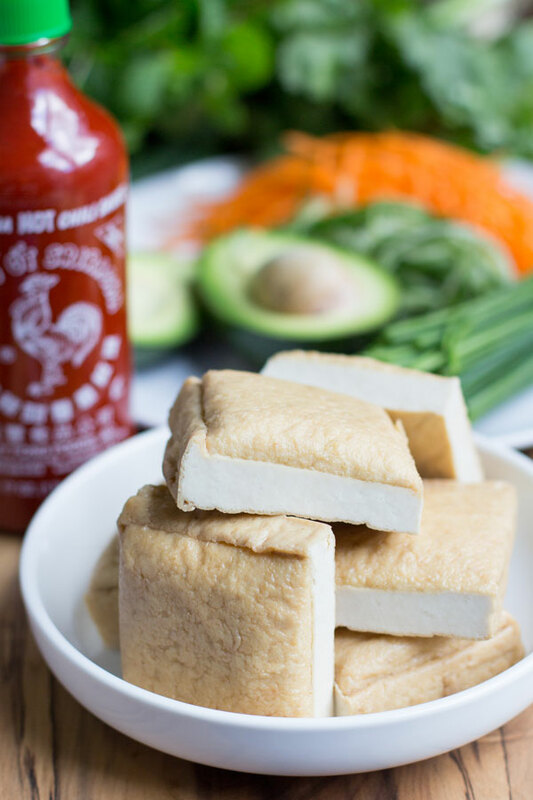 Place a couple of tofu pieces along a third of the wrapper. 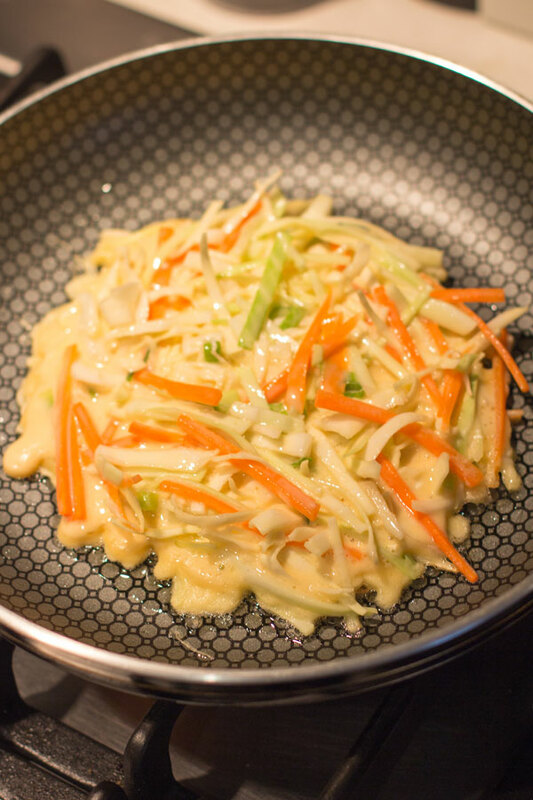 Top with noodles, and a couple of slices of cucumber, carrot, spring onion, avocado and a few herbs. 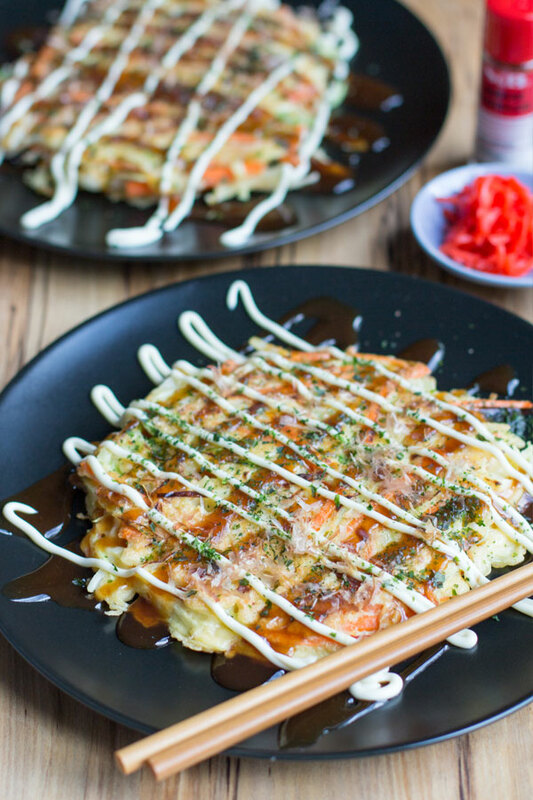 Fold in the sides of rice paper. 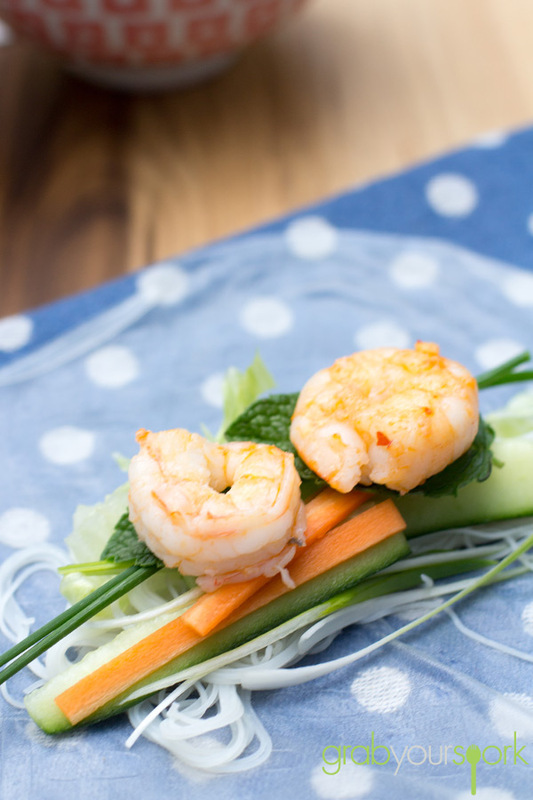 Then roll from the bottom up, tucking into a tight spring roll shape. (Most rice paper packaging will have directions). 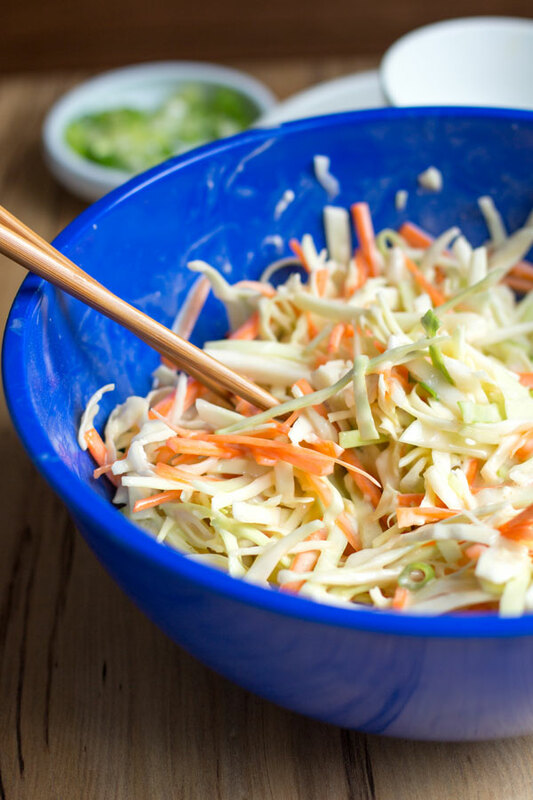 Serve the spring rolls whole, or sliced in half with a nice dipping sauce.